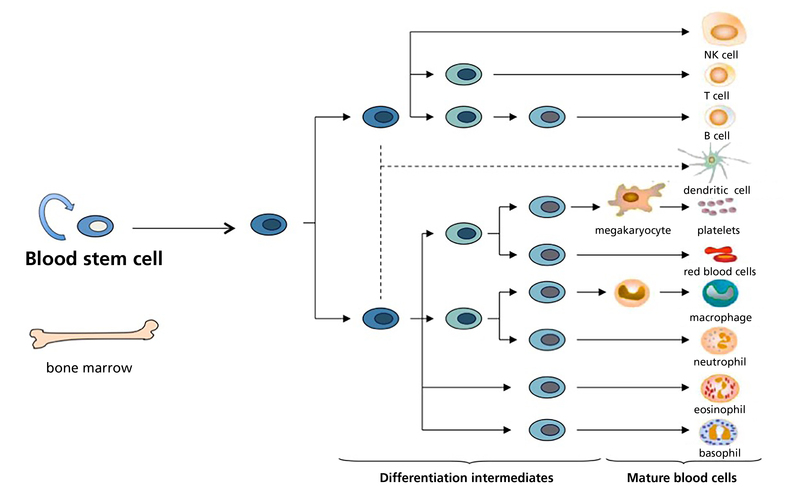 Stem cells have two outstanding properties: they multiply into identical copies and differentiate into specialized cells with special properties. In a double lesson, students develop an understanding of stem cells, present them as a keynote address at the stem cell conference, and develop reprogramming models from the body cell to the pluripotent stem cell. 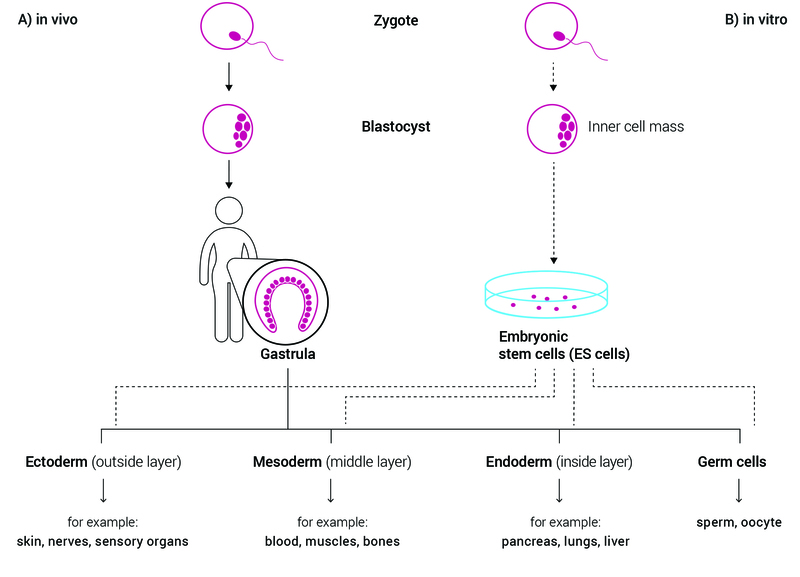 In this lesson, the students develop the basics of stem cell research. 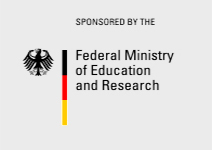 They slip into the role of scientists and prepare themselves as conference participants a prelude speech (keynote) and a lecture series (session). Topics are the different types of stem cells, the different forms of reprogramming and blood stem cells as pioneers of stem cell research. 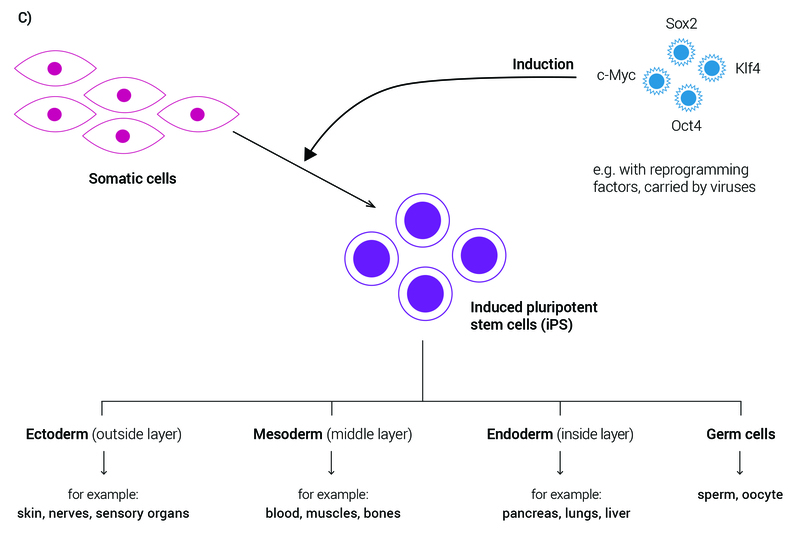 Task Keynote: Develop an overview of the stem cell types. Present your overview of stem cell types as a keynote. 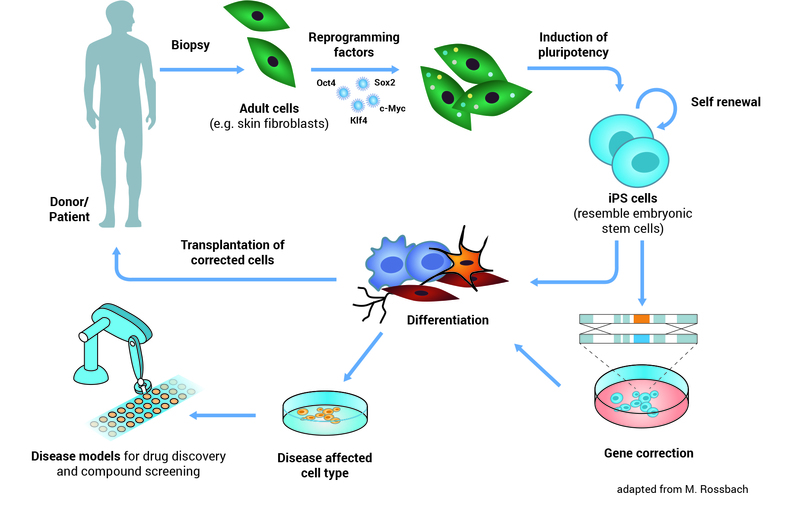 Task Session: You receive scientific material on one of the three topics of blood stem cells, reprogramming or induced pluripotent stem cells (iPSC). Work together with your session group in a nutshell on the essential facts. Prepare for the session. The lesson series is structured like a scientific conference - the students assume the role of a scientist. They develop the research knowledge and present it in the different formats of a conference. Keynotes are important lectures at the beginning of large conferences. They are held by specially recognized scientists. A keynote often deals with the central themes of the conference. Sessions are series of lectures in a conference. In sessions, several specialist lectures will be held that fit together in terms of content. They are presented in smaller groups. After the presentations, the session participants ask questions and discuss. For large conferences, multiple sessions often take place simultaneously (parallel sessions).